Home > Academy, Aston Martin Racing, Beechdean, British GT, Farmer, Howard, Jetstream Racing, moore, nicholl-jones, optimum, Snetterton, TF Sport, Thiim, Turner, Vantage GT3, Vantage GT4 > Day of the Aston at Snetterton for sure! Day of the Aston at Snetterton for sure! 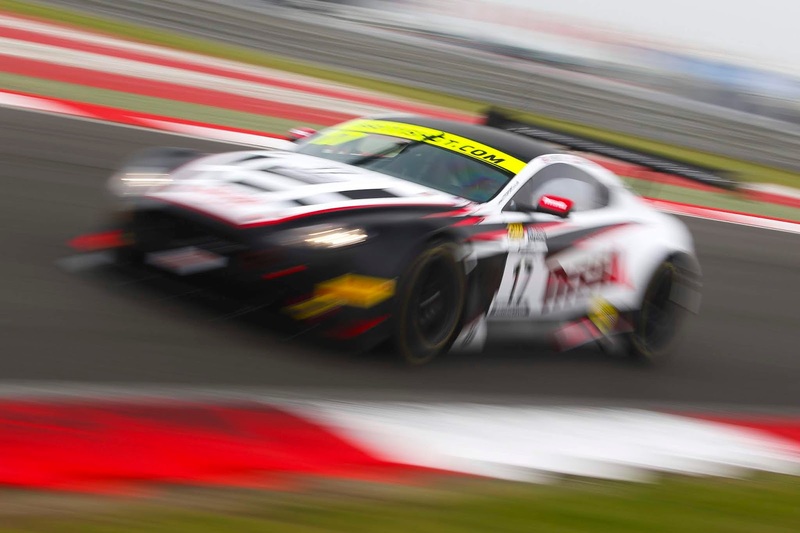 With sometimes heavy and persistent rain showers having just passed Snetterton by this morning it appears that most of our Aston Martin Racing runners in the British GT Championship had a ball in both Free Practice and Qualifying today. 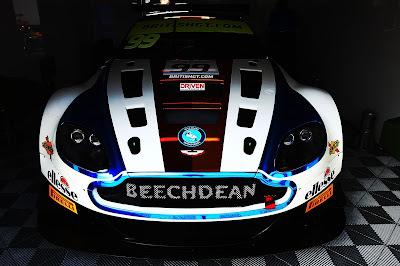 This morning's FP1 session ended with the top four places occupied by both TF Sport cars, the Optimum and Jetstream Motorsport cars, which then transposed into the top four out of five spaces in FP2 with Beechdean AMR this time taking top honours. The combined FP times confirmed the #99 Beechdean car of Darren Turner and Andrew Howard as fastest overall. Not to be outdone, Academy Motorsports two V8 Vantage GT4's were also pedalling quickly around the 2.9mile circuit to finish top of that class with the #62 of Matt Nichol-Jones and Will Moore by the end of Free Practice. Their sister #61 car of Jan Jonck and Tom Wood was just a further four places back. With Snetterton again featuring two - one hour sprint races each drivers qualifying time would be there own with the Am's starting the first race and the Pro's starting the second. Mark Farmer in the #11 TF Sport AMR was fastest just 0.048 of a second ahead of the #47 Jetstream car of Graham Davidson in GT3 Am with Farmers team mate Nicki Thiim also securing pole minutes later in the GT3 Pro session. The #47 car of Maxime Martin did finish P3 but was given an eight place grid penalty for a sporting infringement of insufficient qualifying laps being entered. 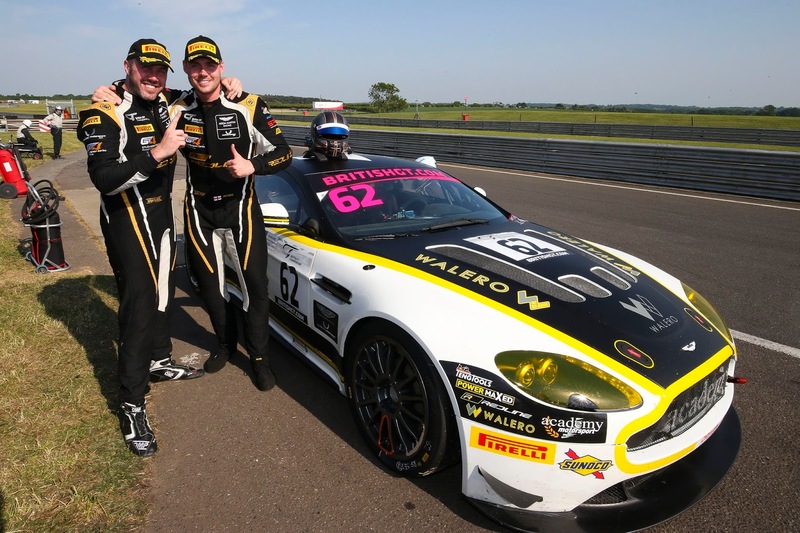 In GT4 Am the highest qualifying was Moore in the #62 Academy ahead of team mate Wood in P5 whilst in Pro both went some better to end their session P1 and P3 for Nichol-Jones and Jonck respectively. All in all - three poles out of four can't be a bad days work! 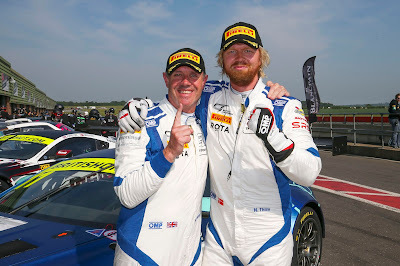 Whereas there has been no immediate change in fortune for the #17 car of Derek Johnston and Marco Sorensen (qualifying in P10 and P4) having changed its livery back to their 2016 championship winning guise for the event, it would take a brave person to discount them particularly should there be any first lap incidences for the cars infant. Likewise with the #99 Beechdean AMR car who have to date driven there own races with great effect and claiming two podiums along the way. All in all, Sunday's two races are shaping up quite nicely for all to enjoy either at the circuit or on live stream from the SRO feed.